Ohhh, j’ai faim. 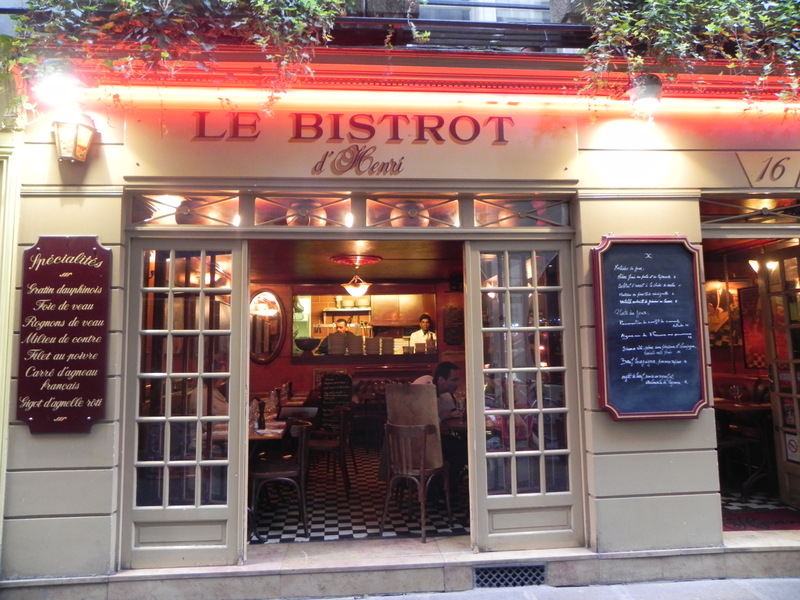 The Experienced Travelers pledge fidelity to our food-mad Readership with a restaurant report on Le Bistrot d’Henri in the 6th, near the Place St. Germain at 16 rue Princesse. 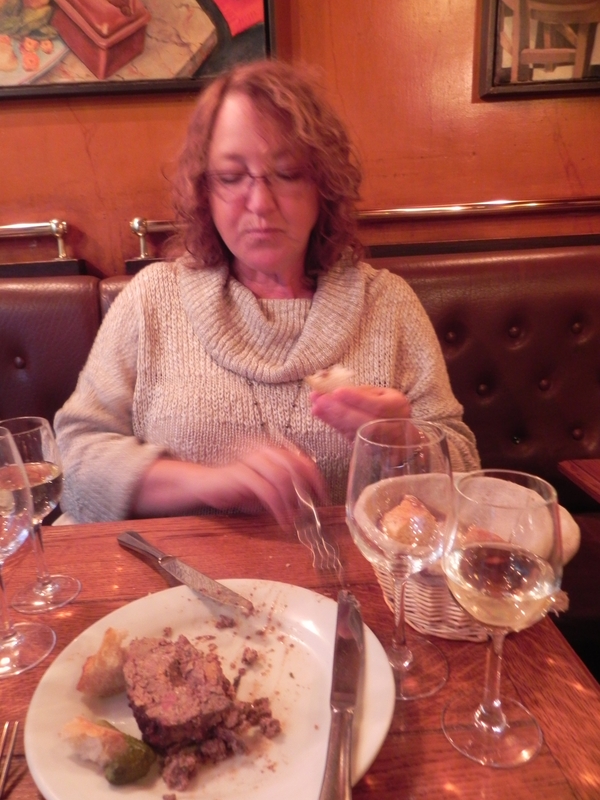 How apropos that Melinda and I dined like “les princesses” at the Bistrot. (Hopefully like princesses that kept their heads after 1789.) 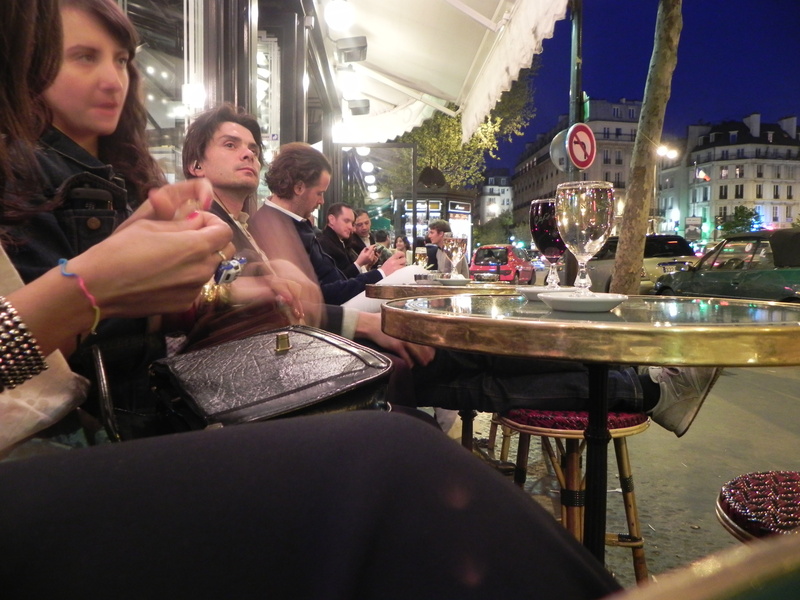 And what could be better for a girl’s frame of mind than a great meal with a flirtatious Frenchman at the next table. We found Henri through the Adrian Leeds Top 100 Cheap Restaurants guide. Cheap was a relative term for our weak US dollar, but Adrian steered us right. This was an excellent use for the Found Money I saved by resisting the Hermès scarf ring. We settled into the deep banquette and immediately began research on a bottle of Côtes de Provence. Dancing flames and culinary gymnastics from the open kitchen sent us straight to the menu. Here I exercised caution, because the French disguise liver with sonorous phrases that trick me every time. I once ordered three courses that were all liver and Nurse has never let me forget it. Melinda and I opened the proceedings with terrine de fois de volaille de maison, a chicken terrine that rightfully rests in the ET Culinary Hall of Fame. 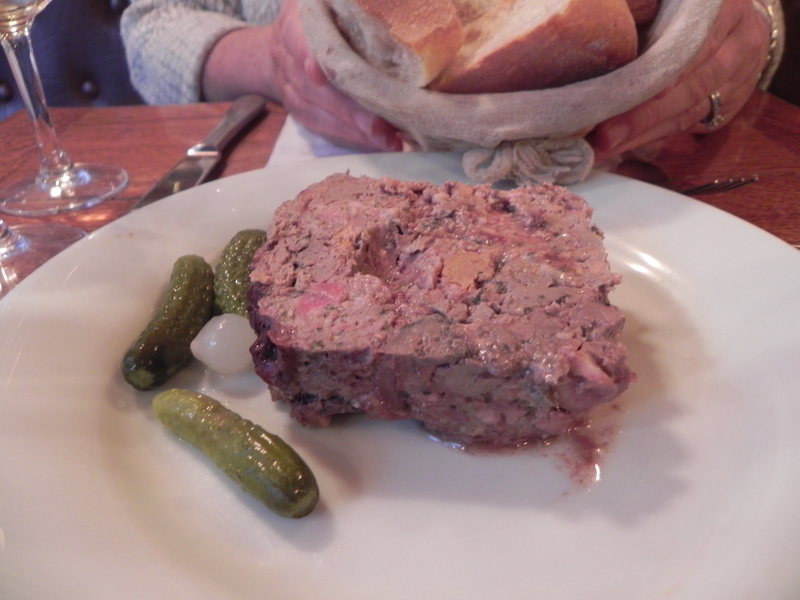 Dear Readership, Henri’s terrine is a 7-euro meal in itself. During Proustian “involuntary memory” moments, it all comes back to me; textured goodness heaped on a round of baguette, going down with a satisfaction that is uniquely French. Forget what I said about liver. I was wrong. Henri has reformed me. 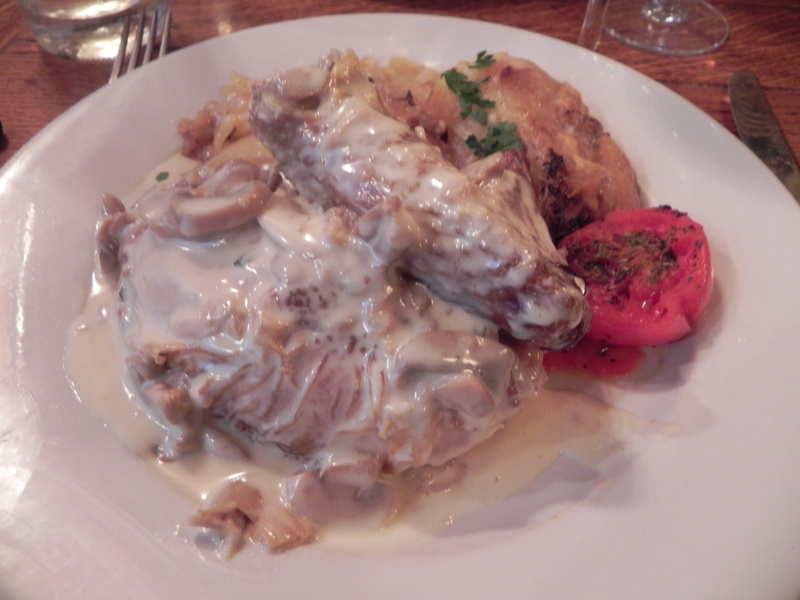 We poured more wine to prepare our pallets for the plats; Melinda’s ravioli in cream sauce and my poulet fermier a la crème aux champignons, which was safely not liver, but free-range Bresse chicken in white sauce with mushrooms. 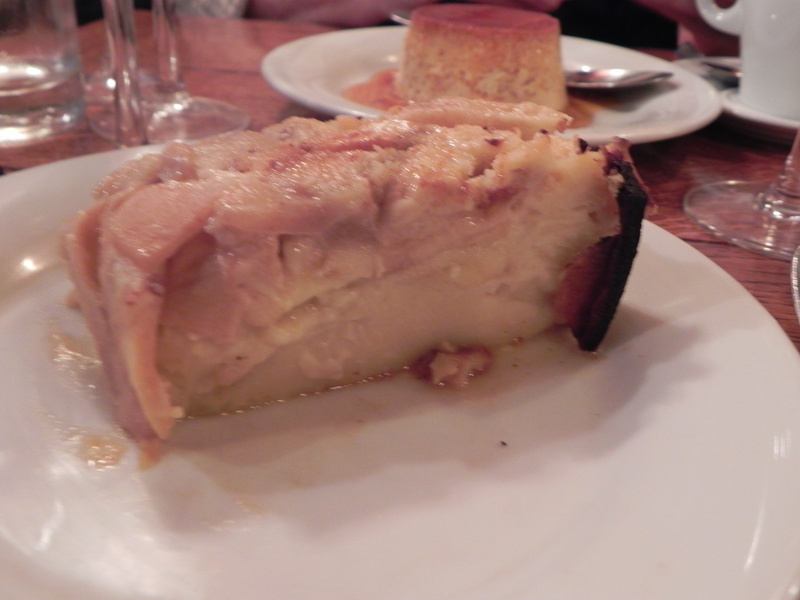 We were delighted to share an order of potatoes gratin dauphinois and dined as the restaurant filled to capacity, and the din of convivial chatter rose. The table next to ours was occupied by two couples. The man next to us took an immediate interest in what we were eating and where we were from. He mesmerized us with a Gallic style that held us in thrall. His wife rolled her eyes to the other couple while Monsieur Charm ably pointed out the merits of our crème caramel and pear clafouti. When done well, French flirtation is an experience that ranks with the Louvre and a ride on the Seine as necessary Parisian events. And now I know it can be practiced in the presence of one’s wife, purely for sport and spirited repartee. Fortunately, all French men flirt, so there’s plenty to go around. A first-rate engagement strategy is in play when he admires your stunning command of the French language. I only know 15 minutes of French – all in the present-tense — so this is a gratuitous compliment that works every time. Flirting is harmless and character-building, and recounting it will amuse your friends once you get home. 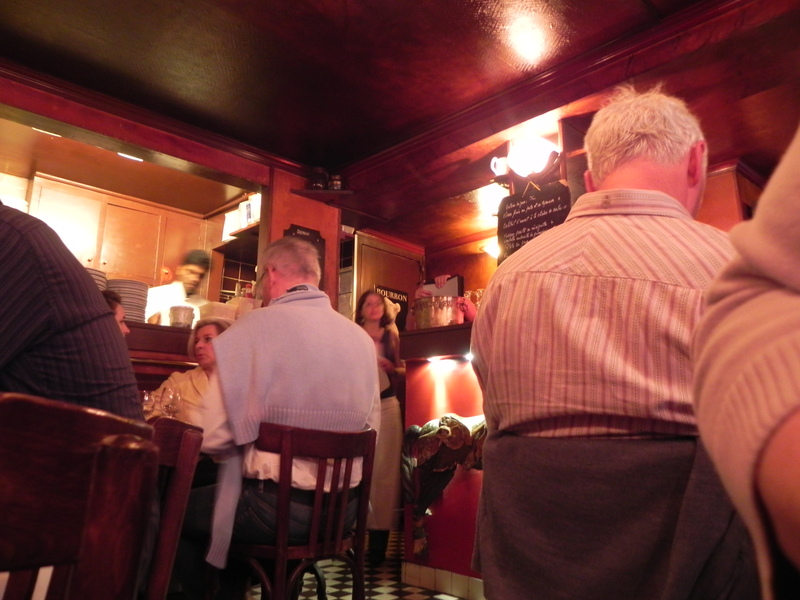 Melinda and I said our goodbyes to Monsieur Charm (who told us it was a French custom that you don’t leave your dinner until the table next to you has finished…) and walked to the Café Flore for the ritual nightcap. 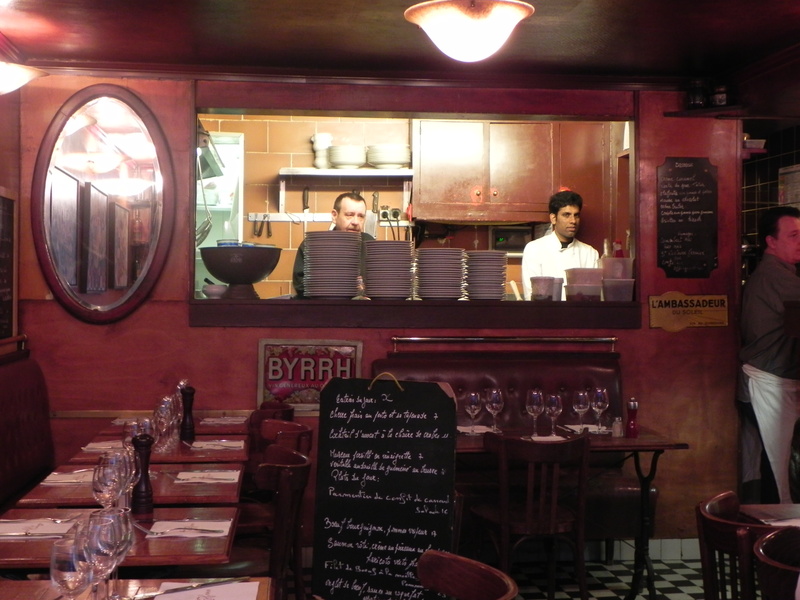 Our dinner at Le Bistrot d’Henri in the rue Princesse did leave us feeling like royalty – comfortably full of excellent food and well attended by hovering staff and our neighboring Frenchman. Vive la France and all who dwell in her.